**New in Runtime 2.3** watchOS 2, iOS 9, and 3D Touch Support! **New in Runtime 2.2** Apple Watch and Split Times! 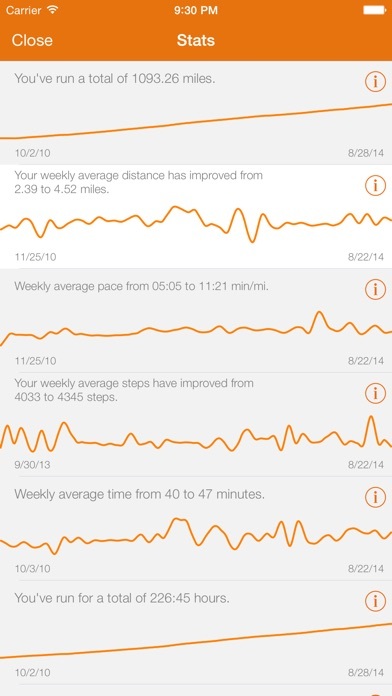 **New in Runtime 2.1** Shoe Tracking and HealthKit! 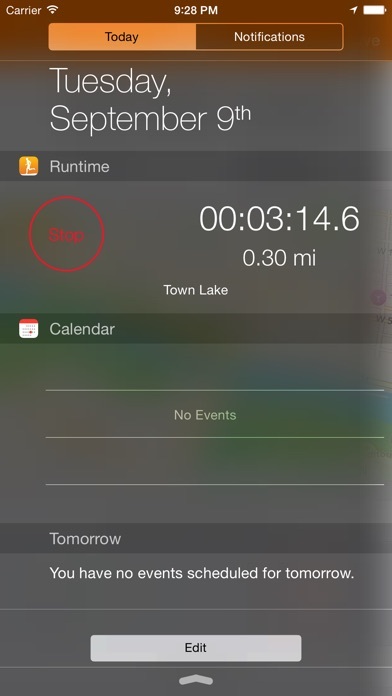 Runtime is a simple run tracking app that takes advantage of the latest features in iOS 8, the iPhone 5s, and the iPhone 6. 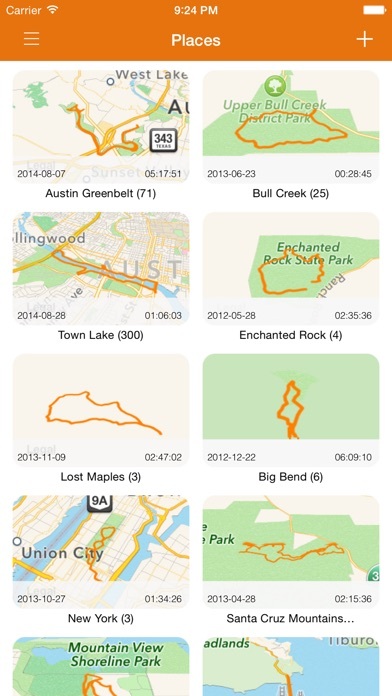 Use Runtime to track your route, time, speed, pace, and altitude everywhere you go for a run/walk/hike/jog/jaunt etc. Runtime supports Apple Watch for controlling your run right from your wrist. Use Apple Watch to start a run, view stats on your progress while you're on the go, including pace, distance, time, location, and split times and a complete elevation profile. Runtime for Apple Watch is an incredibly advanced stopwatch right on your wrist. You can also control your workout without the stopwatch widget. Quickly start a new run from Notification Center, pause a run without launching the app, and view your time, distance, and steps all from the convenience of the Today screen. Keep track of the mileage on your shoes with the new Shoe Closet feature to add your shoes to Runtime and automatically log the distance you run on each shoe. Visualize your content. Organize your routes and times into places and view rich 3D map images of each run. View pace and elevation details for each run. Runtime supports the M7 motion co-processor, which allows you to use Runtime as a pedometer. Open the menu to view how many steps you've taken today and this week. Runtime will also use the M7 to show you when and where you stopped to rest on the trail. Time spent walking is highlighted yellow, while normal activity is highlighted orange. Share your workouts with friends and other apps. Runtime can export KML and GPX files that you can use with other apps. 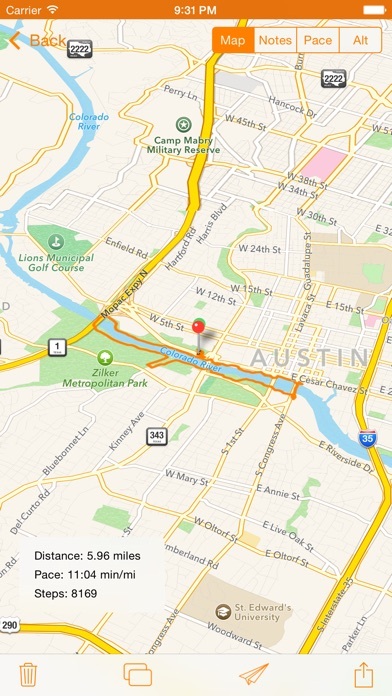 GPX files can be used for geotagging your photos, or for location simulation in Xcode! **New in Runtime 2.0** Runtime is now FREE! 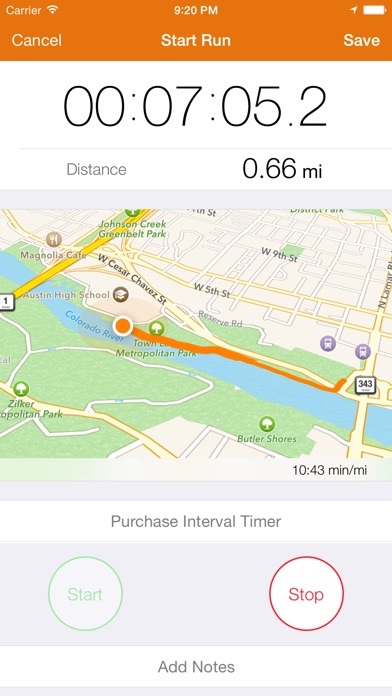 Track your runs in the app and in HealthKit, start new runs with the stopwatch widget, and view a detailed map of your route, all for free. - Track the distance run on each of your shoes. - Adding multiple places that you want to track workouts. - Create custom workouts. Use the Interval Timer to configure high and low intensity alerts with custom alert tones for a rich custom workout experience! - Use the cutting edge Flyover feature to get a cinematic tour of your tracked routes! - View detailed stats for every place you run to track your trends over time. * Dropbox import/export requires a Dropbox account. Learn more about Dropbox at dropbox.com. Runtime now supports watchOS 2!